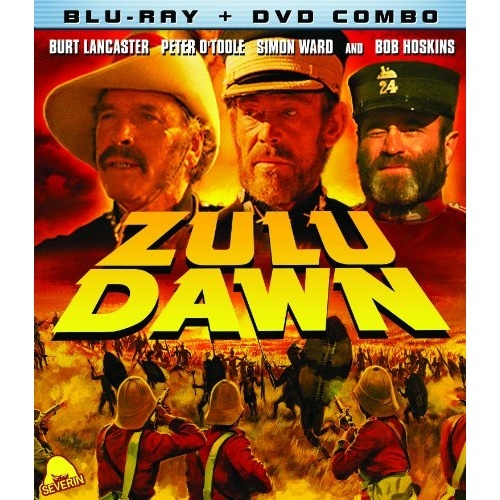 Burt Lancaster, Peter O'Toole, Simon Ward, Bob Hoskins and Sir John Mills lead an all-star cast in the shocking true story of The Battle of Isandhlwana: In January 1879, arrogant officials of the British colony of Natal, Africa issued a list of unauthorized ultimatums to the Zulu Nation. When the Zulu King refused their demands, the Empire declared war. And in a series of grave tactical blunders, a garrison of 1,500 British soldiers faced an army of 25,000 enraged Zulu warriors in what would become the most horrifying disaster in British military history. Nigel Davenport (Chariots Of Fire), Denholm Elliott (Raiders Of The Lost Ark), Phil Daniels (Quadrophenia) and 13,000 actual Zulus co-star in this acclaimed prequel to the classic Zulu, now packed with exclusive Bonus Features, fully restored to its correct aspect ratio, and re-mastered in stunning HD for the first time ever in America.